Montenegro for its size is a country of quite an amazing diversity. Roughly Montenegro can be divided into three regions. Every region having its own allure, but all offering a combination of natural beauty with treasures of culture. Especially the places were those regions melt into each other, creating a marvelous scenery. The Montenegro coastline can be found in the west of the country, on the other side of Italy’s southern part, divided by the Adriatic Sea. The coastline has a total length of 293 km, starting in the country’s west stretching to its most southern point. Going from northwest to southeast the coastline couldn’t have a much better start beginning with the Venetian Boka Kotorska. This breathtaking bay is listed as one of the ten most beautiful bays of the world and is often referred to as Europe’s most southern fjord. 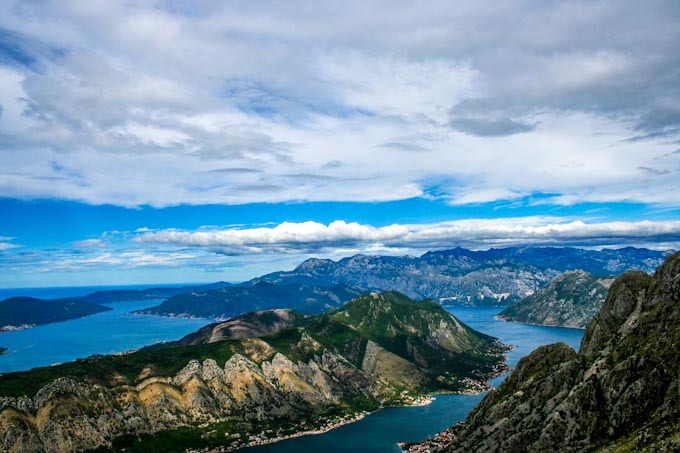 The Boka Kotorska coastline is like a string of pearls, harboring towns like the flower city Herceg-Novi, the Unesco protected Kotor, with its one of Europe’s best preserved mediaeval Stari Grad (Old Town) and historical seafaring monuments like the Gospa od Skrpjela church island . Further the Boka Kotorska coast possesses 3 of the 5 Montenegrin Rivièras. The Herceg-Novi Rivièra, Tivat Rivièra and Kotor Rivièra. The Herceg-Novi Rivièra: The Herceg-Novi Rivièra is 25 km long and includes peninsulas, small islands, beaches of different profiles and attractive resorts, with a deep mountainous background and picturesque villages and settlements situated among the olive groves and other exotic Mediterranean vegetation. The Tivat Rivièra: There are 17 official beaches at the surface of 31200 m² in the Tivat Rivièra. Along the coast there are small, attractive inlets with a lot of restaurants and other tourist facilities. There are also three isles in the Tivat Rivièra: the Isle of Flowers, St. Marko’s Isle and the Lady of Mercy Isle. The Kotor Rivièra: As the Kotor Rivièra is in the deepest part of the Bay of Kotor, there are no long sandy beaches which are characteristic of other parts of the Montenegrin coastline. What makes this Rivièra special are the numerous pontoons which give a special charm to the landscape. Many of these are in private hands, so if you make a reservation of an apartment in any of the beautiful palaces at this part of the coastline, you will be able to enjoy a pontoon of your own during the day, and the calmness of the beautiful Bay of Kotor during the night. Continuous south the next rivièra is the Budva Rivièra, named after the metropolis of Montenegrin tourism Budva. Budva is the oldest settlement together with Risan (in the Boka Kotorska) of the Montenegrin littoral. 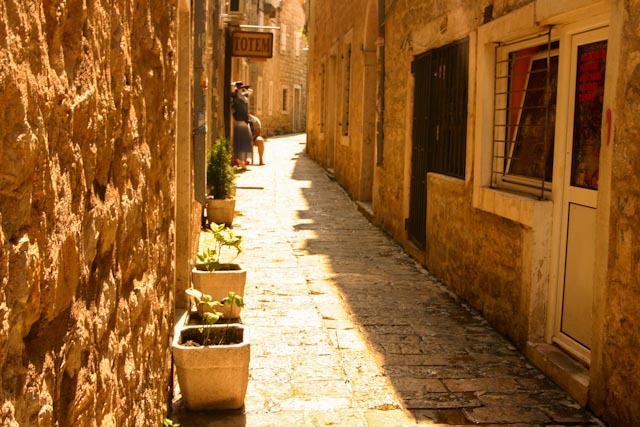 It’s not because of nothing that Budva is Montenegro’s main tourist attraction. With its 2000 years old history dating back to the Greeks there is enough ancient architecture to be found in Budva’s old town. And along with that the Budva beaches are often said to be Montenegro’s best. The Budva Rivièra : The dance of the sea waves throughout the centuries and the coastline have made a unique arrangement of oval inlets with beaches at the spots where fine soft zones meet steep cliffs, which are made of hard limestone. This unrepeatable beauty of constant changes provides dual satisfaction coming from these magnificent beaches and steep cliffs. The beaches are covered with sand of high quality. They are spread over 38 km of jagged coastline with many inlets, shelters, sandy beaches, capes and small isles. The other big attraction of the Budva Rivièra is Sveti Stefan. This former fishermen village located on a peninsula was 50 years ago decided to be transformed into a hotel town, making it a wonderful place where even the world’s most endowed (e.g. Claudia Schiffer, Sylvester Stallone) like to spend their time. Nowadays its part of the international luxury hotel group of Aman Resorts. The last of the Montenegrin Rivièras is again named after the main city of the region, Ulcinj. 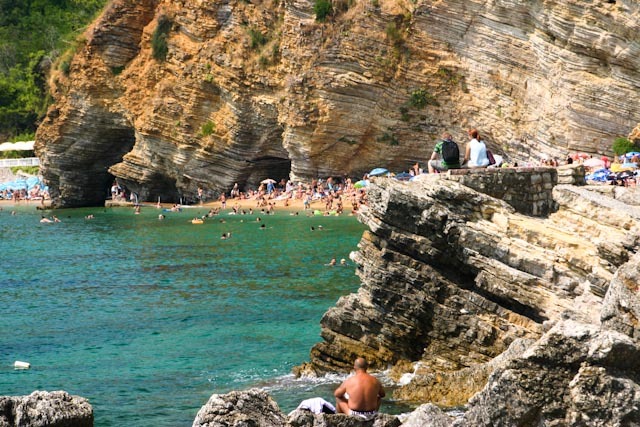 Ulcinj is a historic seaport with a pirate history. Also Ulcinj is blessed with its own old town, fortified by large city walls, which are showing the city’s importance and turbulent history of occupiers, trade and sea fare. The Ulcinj Rivièra: The coastline of Ulcinj is 32.70 km long, spreading out from the Stari Ulcinj cape to the mouth of the Bojana river into the Adriatic Sea. 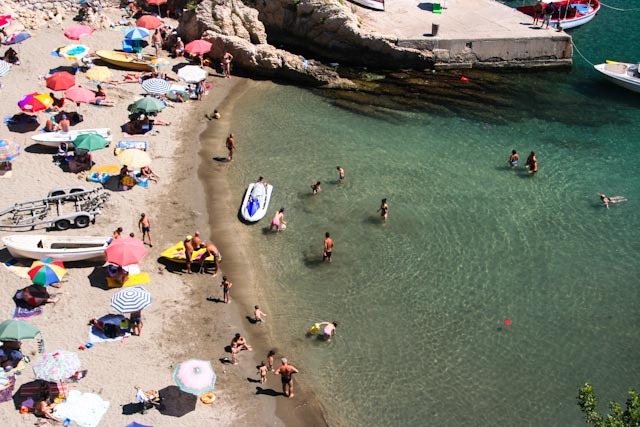 There are 18 inlets in the cliff part, the peninsulas Marjan and Mandra, Valdanos Beach and two sandy beaches: the Great Beach and Small Beach. A special attraction on this part of the coastline is a natural reservation named Ada Bojana. The Great and Small Beaches, Ada Bojana, Valdanos Beach and the beaches along the pine forest are distinctive for its beauty, size and environment. The Ulcinj Beaches are very sunny with a lot of subtropical vegetation. Because of the configuration of the beach, Ulcinj Rivièra has great possibilities for organizing sports on both beach and water. Leaving the coast into mainland you will shortly arrive in Montenegro’s central region. This Dinaric hinterland existing of karst ranging, lies generally at elevations of 1,000 meters above sea level, with some parts rising even to 2,000 meters, like Mount Orjen (1,894 m) and Mount Lovcen (1,749 m), the highest massifs among the coastal limestone ranges. Mount Lovcen is part of the national park Lovcen, which’s named after it. Due to its natural characteristics this 6400 ha area it was pronounced a national park in 1952. 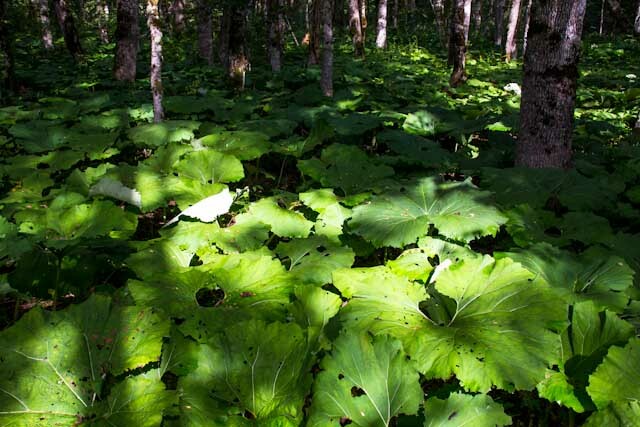 The park is characterized by exceptional geographic phenomena and a rich flora and fauna. There are 1158 plant species out of which four are endemic. 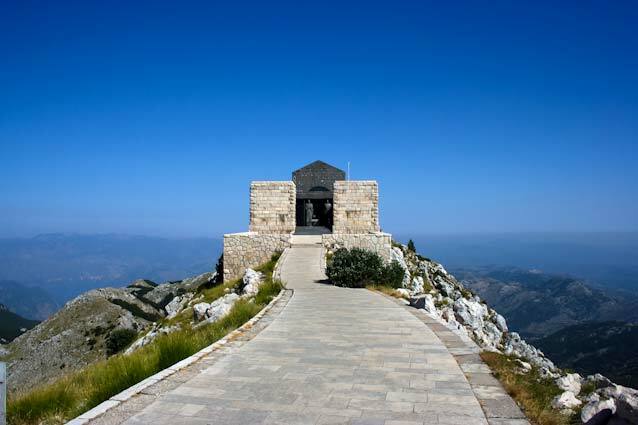 But the most stunning attraction of the park is the Njegos Mausoleum, the grave tomb of the national hero Petar II Petrovic Njegos, which is located on a 1,647 m high mountain peek giving a stunning view of the park, the Boka Kotorska and even Skadarsko Jezero on clear days. The next national park located in the central region of Montenegro is Balkans’ largest and even one of Europe’s biggest lakes, the Skadarsko Jezero. Located in Montenegro’s south at the border with Albania, Skadarsko Jezero is Europe’s largest bird reservation with a count of 270 bird species, for birdwatchers a true heaven. But there are also enough species of fish to be found, even saltwater fishes swimming up from the Ada Bojana river. 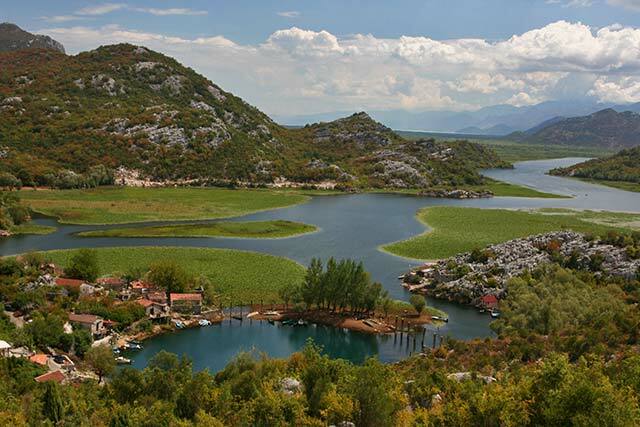 North from Skadarsko Jezero is the country’s capitol Podgorica. 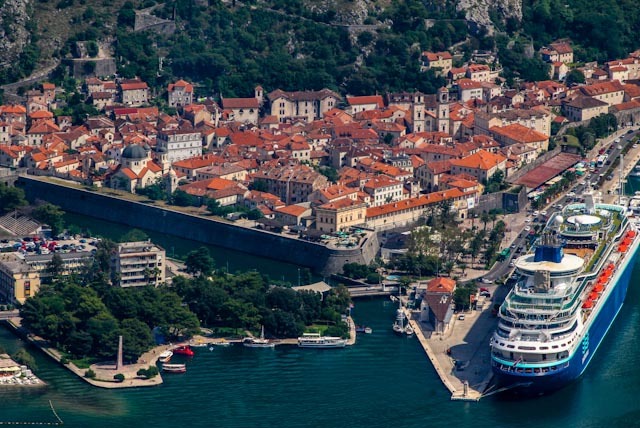 A more modern industrial city were one third of Montenegro’s inhabitants live. Podgorica is the political and also economic center of Montenegro. More history and culture can be found in the former capitol Cetinje, which is famous for its resistance to the Ottoman invaders and always being the place representing Montenegro’s fighting spirit for liberty. 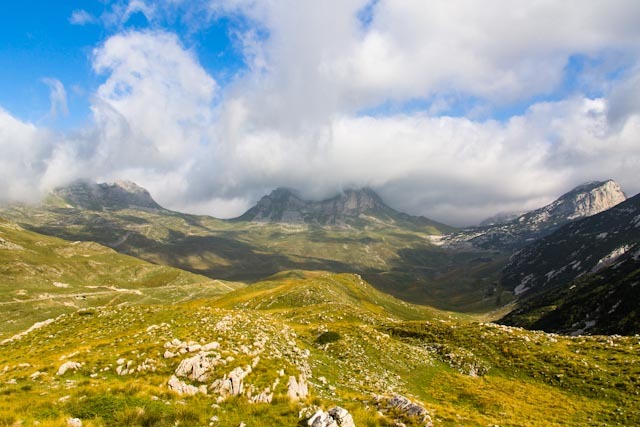 The last two of Montenegro’s natural wonders can be found in the mountainous northern region. This karst region is Montenegro’s highest area and a constituent of the Alps themselves. As the result of the karst porosity, rain water rapidly disappears, leaving a land form stony and barren. The character of the northern part of Montenegro is best demonstrated by the biggest national park of Montenegro, the Durmitor massif. Here can be found Europe’s deepest canyon, the Tara Canyon. For thousands of years the Tara river has been sculpting and scouring its path through the soft limestone surface, resulting in one the deepest gorges of the world – in some places 1,300 m to the valley. This is the reason why the Tara Canyon is Montenegro’s second enlisted place on the UNESCO list for World Heritage Sites. Besides having one of the deepest canyons, Durmitor national park can also claim to have the highest peek in Montenegro, the Bobotov Kuk (2,582 m). The average elevation of Durmitor is 1,400 m, including 48 mountains over a 2,000 m. In summertime the Durmitor massif is an excellent place for all kinds of active forms of recreation. But in wintertime this is the place to be in Montenegro, with the central ski resort Zabljak (1,465 m above the sea level), the highest town in the Balkan region. 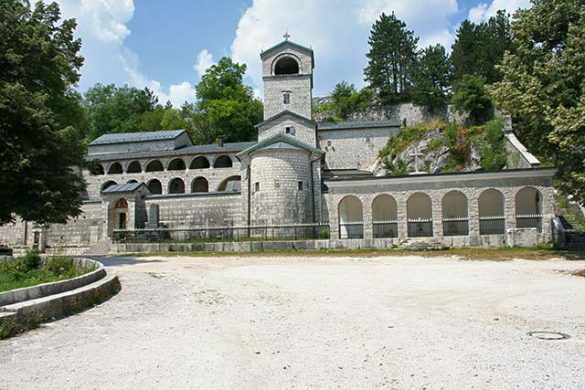 The 5,400 ha national park Biogradska Gora is an isolated area in Montenegro. 80% exists out of primaeval forest. Already in 1878 this park was declared as Montenegro’s first national park, one 6 years of the declaration of world’s first national park Yellowstone. The park is not only well-known for its 60 meter ancient trees, but also for the five glacial lakes known as “mountain eyes”. If you are planning a holiday to Montenegro, on this website you can find almost everything this little Adriatic treasure has to offer. The national monuments, information about beaches, the national parks and everything else to plan an unforgettable holiday.